Last Tuesday, two toddlers were found dead in a car that had sunk to the bottom of a river. The scenario had an eerie parallel to the Susan Smith episode of 1994: both incidents occurred in South Carolina, and in both cases the mother was charged with murder. The details have emerged over the last few days. Shaquan Duley, an unemployed single mother, allegedly suffocated each of her two sons-aged two years and 18 months-and rolled their bodies into the Edisto River in Orangeburg, South Carolina. The car, with the kids buckled up in their seats, was found Tuesday, and Duley is going before a judge for an arraignment hearing today. In perhaps the most famous reaction, House Minority Whip Newt Gingrich pointed to the tragedy as the reason why the country needed a return to conservative values. It was November 1994, and the election that would make Gingrich Speaker of the House was three days away. Those comments came under fire from Vice President Al Gore-who called them “outrageous” in the same AP story-as well as people involved with the Susan Smith case. So now that we have an almost analogous scenario that happened in the same state, is this South Carolina toddler murder case also indicative of “how sick the system is,” and therefore a reason to vote Republican in the fast-approaching elections? I reached Joseph DeSantis-who has the title of “Communications Director for Gingrich Communications”-on the phone Tuesday afternoon, in hopes of getting Gringrich on the line. “Mr. 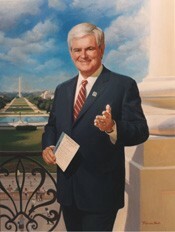 Gingrich is overseas and will not be back for a few weeks,” DeSantis said. Still, even if he’s currently ensconced in the Eternal City with his family, does he have lesson to impart from the Shaquan Duley incident? So for the time being Newt Gingrich does not, in fact, equate all submerged-car murders with the urgent need to vote Republican.